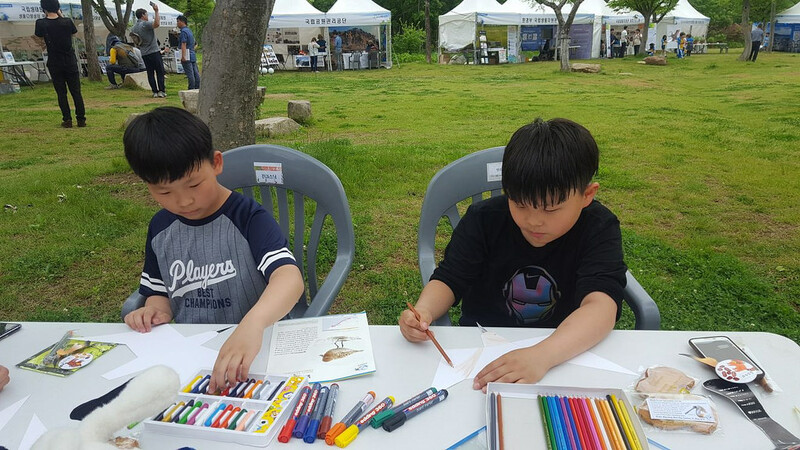 To celebrate the twenty-fifth World Biodiversity Day on 2018 May 22nd, Ministry of Environment (MOE) of Republic of Korea (ROK) held an event from 17 – 19 May 2018 at the National Institute of Ecology (NIE) located in Seocheon; (ROK). This year with the slogan ‘Recovering ecology and rich biodiversity’, the event introduced important restoration cases and prepared programs for citizens to participate in various activities to acknowledge the importance and methods of restoring biodiversity. 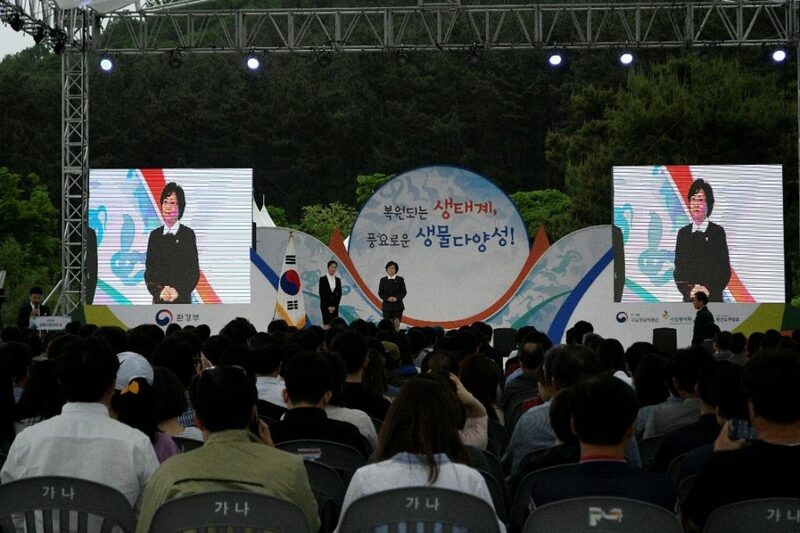 On the 17th May at the start of the event, there was an opening ceremony where 300 people participated including Ms. Kim Eun Kyung, Minister of the Ministry of Environment (MOE), Mr. Lee Sang Don, member of Environment & Labor Committee, environment groups and citizens. At the request of the government, the EAAFP Secretariat team also participated in the ceremony and operated a booth during the three day event.